Chocolate – Behind coffee, chocolate is my next food vice. I found this list of the benefits of dark chocolate interesting and i wanted to share it. 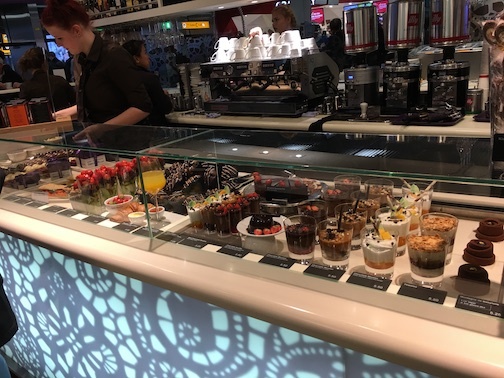 2016 cruise – In route from Houston to Barcelona to meet up with our cruise ship we passed through Amsterdam’s Schiphol Airport. We discovered the Cafe Chocolat there two years ago. It was every bit as good as we remembered. The Cafe lives up to its name as you can see in the photo above. YES those are platters of large chocolate chunks you see in the photo above. Several different kinds of chocolate. But they have several other goodies to help pass your time. I have had coffee, hot chocolate and one of their little chocolate cakes and it was all enjoyable. 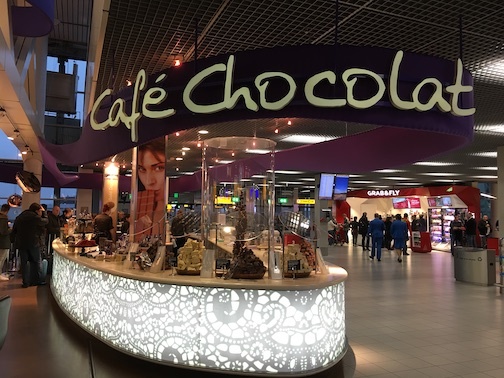 If you are passing through Schiphol Airport and have the time, drop by Lounge 1 and satisfy your chocolate cravings. You will not be disappointed! Yes, today, October 14, 2016, is National Dessert Day. Who knew? I certainly didn’t until I saw an announcement, but I have added it to my list of date to celebrate each year in the future. How should you celebrate? 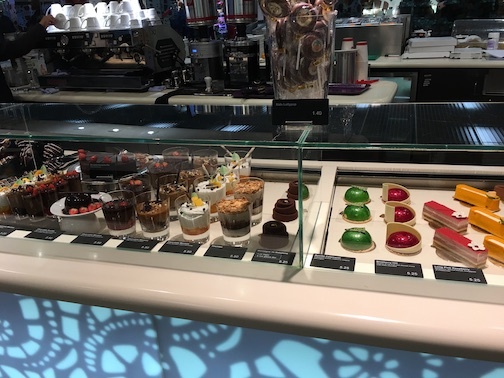 Go out to a dessert shop or restaurant and indulge in one of their tasty treats. Or if you are creative and have the time, whip up a family favorite recipe. See some other recommendations (“Happy National Dessert Day! Here are some of our favorite treats to celebrate“) from the anchors of TODAY. You might also want to check out the article “25 ways to celebrate National Dessert Day“. Join the celebration by posting photos on social media with the hast tag #NationalDessertDay. My wife and I came across Blue Frog Chocolates when we were in New Orleans last April. 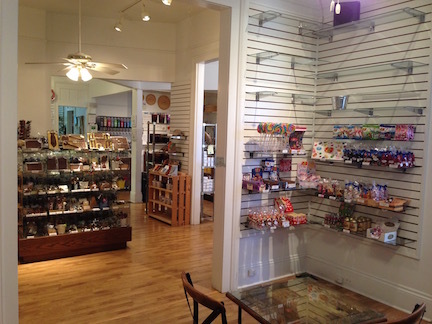 This is a small eclectic shop with a wide variety of things chocolate. 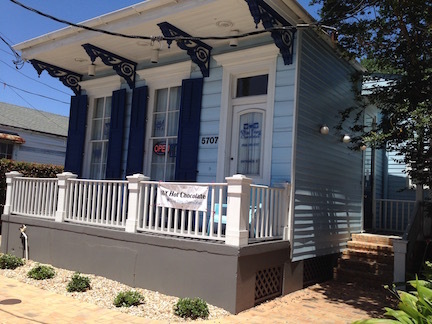 The shop has been open since 2000 in a old cottage on Magazine Street (5707 Magazine Street, New Orleans, LA 70115). The location is in the Garden District and the cottage is nearly 100 years old. The family owned and operated shop takes it’s name from the “Legend of the Blue Frog“. 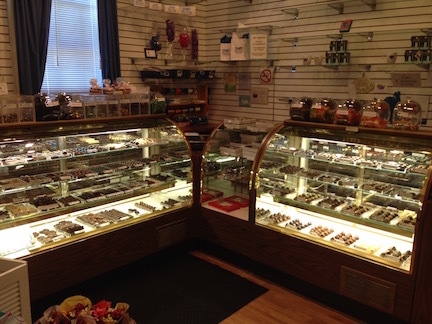 The shop carries a wide assortment of chocolate goods – molded chocolates, chocolate covered nuts, bark, pralines, cocoa mix, assorted gift boxes , dipped strawberries, body paint, . . . The list goes on and on. Some of their products are imported, or from other sources in the US, but many are made locally in the shop. Not only do they have great sweets, orders can be made through their on-line catalog for shipment to you anywhere. We tried a few of the chocolates and we both had one of their “Icy Hot Chocolate” drinks. Everything that we tried was outstanding! If you are in New Orleans, this is a stop I highly recommend. Chocolates. Now this isn’t a single shop, but a large concern with 9 stores not only in Victoria, but also in Vancouver and Whistler. The company has been around more than a hundred years, starting back in 1885. 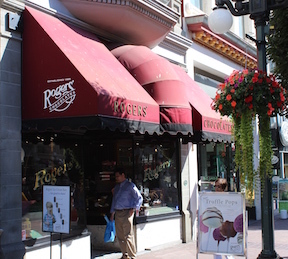 Rogers’ offered a wide range of chocolates, and we sampled quite a few. Fortunately for us, the nearest store is now thousands of miles away and no longer tempting us. 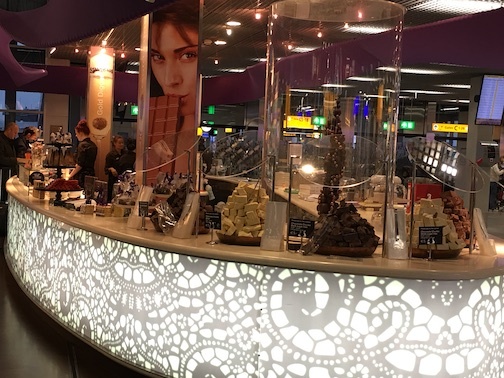 The stores carry a wide variety of products: baking products, gourmet chocolate bars, nut & fruit, truffles and candies. It was a great treat to look through the selection on display and pick out those that we wanted to try. We particularly like the Victoria creams.